When selling, there are two basic methods you can choose to sell your home: auction and private sale. But which is right for you and your home? When choosing a sales method, there are a number of factors to consider. Firstly, will an auction work in your area? Both Melbourne and Sydney are the auction capitals of Australia, but if your home is located in an area where a private sale will generate a better result, why go to the expense of holding an auction? There are a number of reasons why an agent may suggest to send a property to auction. First off, a property sold under the hammer at auction is an unconditional sale. Anyone buying at auction cannot impose subject to clauses on the seller. When the hammer falls, the buyer owns the property and will be expected to complete the transaction. Secondly, an agent may send a property to auction where they know there will be keen interest in the property and so the expectation is that multiple bidders will achieve a better sales price. This is all well and good, but what about when the market is not as buoyant or your property in located outside a major city or on the outskirts of town? Before you decide to auction your property, it’s important to consider if this is the appropriate sales method for the area your property is located in. If most of the homes in your area are offered for private sale, there may be a good reason for this. Auctions may simply not achieve the desired result in your area. Speak to a number of local real estate agents and find out which method they would recommend and why. As a rule, properties located in inner city areas will do well at auction, but again, it depends which city the property is located in. Auctioning a home costs more money and takes more time. In most cases, there is a four week marketing campaign leading up to the auction day. 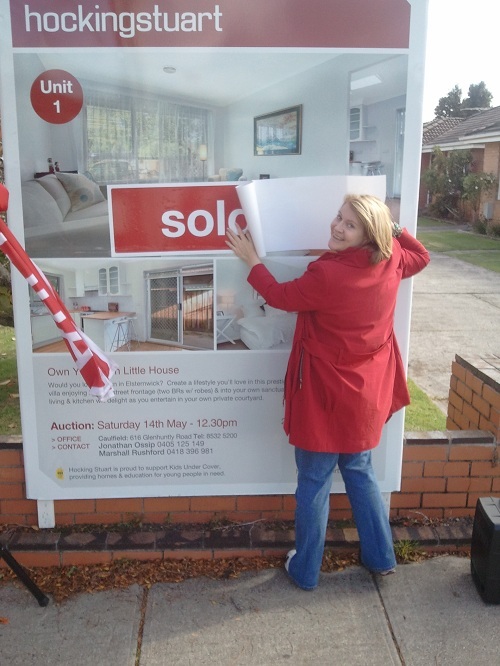 You’ll be paying more for advertising and for an auctioneer to try to sell your property on auction day. Offering a home for private sale can achieve a quicker result, as anyone interested in your home can make an offer right away, without having to wait for the home to go to auction. Of course, offers can be made at any time in the lead up to an auction but many sellers choose to ignore these offers and take a punt on achieving a better price on auction day. A private sale can also be just that – private. Many vendors choose to sell privately to avoid announcing the fact that their home is on the market. They discretely enlist a real estate agent to conduct the sale to avoid unwanted “tyre-kickers” who just want to look with no intention to buy. Whether you choose private sale or auction, you can always change your mind along the campaign and switch to the other method. Whatever method you choose, it’s important that you choose what you are most comfortable with. Seek advice from trusted friends and several local real estate agents. Then make an informed decision. Above all else, make sure the sales method you choose is what is going to get you the best result for your home, taking your property’s location and market sentiment into consideration. What are your thoughts? Have you had better success with an auction versus private sale? Why did you choose your method of sale? Leave a comment below. Some very good points here Wendy to take into consideration when choosing a sales method to sell your home.